Courtesy photo New officers and directors of the Rotary Club of Merrimack welcome in the new Rotary year. 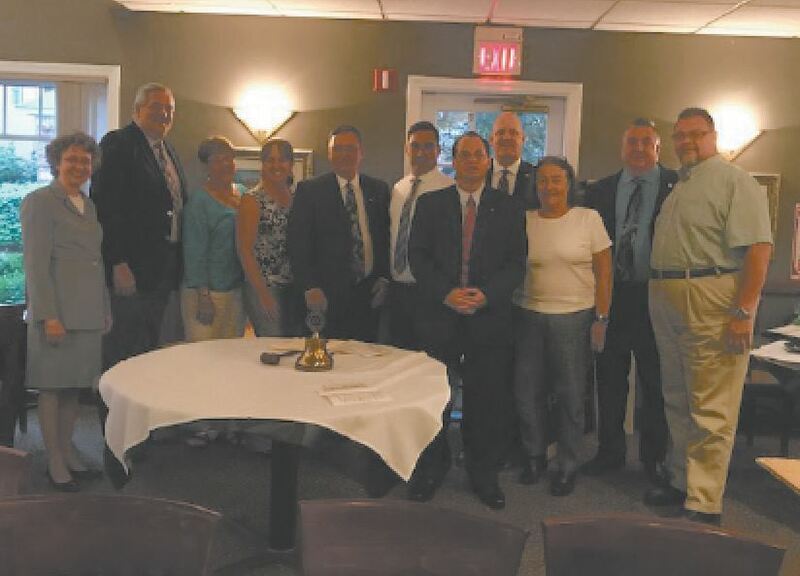 MERRIMACK – The Merrimack Rotary held its annual “Changing of the Gavel” dinner on June 29. At the dinner, the new slate of officers and directors were installed for the new Rotary year. Ed Hilston is president, Mike Hoover is president-elect, Bob Best is vice president, Jane Hoover is secretary, Paul Belfiore is the treasurer and Troy Aarthun is the past president. Additionally, Hilston was named the “Rotarian of the Year” at the dinner. Board of Directors: Lynn Christensen, Bill Wilkes, Heather Gage, Neil Anketell, Mike Dupuis, Brian Snow. Committee Chairmen: Community Service Chair, Rick Crawford; Club Service Chair, Mike Dupuis; Vocational Chair, Sharon Hickey; International Chair, Marge Chiafery; New Generations Chair, Maureen Mooney. Founded in 1971, the Rotary Club of Merrimack is a volunteer organization of business people and professionals supporting the community. 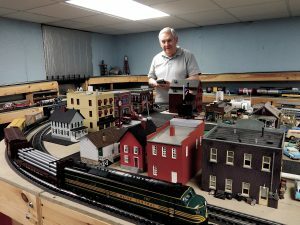 Merrimack Rotary projects have included the Roger Duhamel Pavilion at Watson Park, scholarships, Excellence in the Workplace, support Coats for Kids, the Merrimack July Fourth festivities, the Rotary 4-Way Speech Contest, Interact Club, support town food pantries and Meals on Wheels and more. 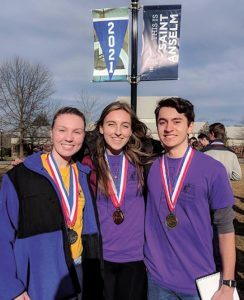 The club works with other clubs on international projects like eradication of polio, Pure Water for the World, and hurricane relief in Honduras. To RSVP for a meeting or for information about membership, contact Chris Christensen at 424-2542 or mail to: Chris@ChristensenNH.com or visit www.merrimackrotary.org.